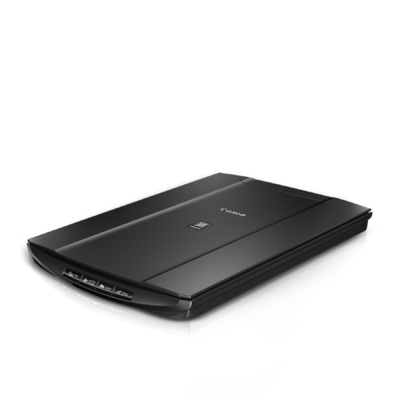 The CanoScan LiDE120 Colour Image Scanner is a compact scanner that offers advanced features and affordability. The “Send to Cloud” functionality, for example, lets you upload photos and documents to the Cloud with remarkable ease.1 The LiDE120 scanner provides a maximum optical resolution of 2400 x 4800 dpi2 for dazzling scans of both photos and documents. The Auto Document Fix feature automatically produces beautiful scans with advanced image analysis and area-by-area data correction, while Auto Scan Mode3 automatically evaluates the item being scanned and saves it with the appropriate settings. The LiDE120 scanner can help you work efficiently with four EZ Buttons that enable you to scan, copy, Send to Cloud or create a PDF in a snap. 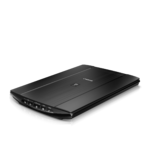 Plus, it scans fast, creating a letter size colour scan in approximately 16 seconds.4 What's more, the LiDE120 scanner uses one USB cable for both data and power, so plugging in is easy. The LiDE 120 includes My Image Garden5, a convenient software package that makes organizing your photos fun and easy.